Cloud technology is reforming the modus operandi of various services at this age and era, to which telephony remains no exception. Cloud telephony is a cloud-based telephone service that has changed the course of traditional telephone services. Although cloud telephony has well established its roots in the world and is globally recognised for its benefits, certain myths about it are still in circulation. 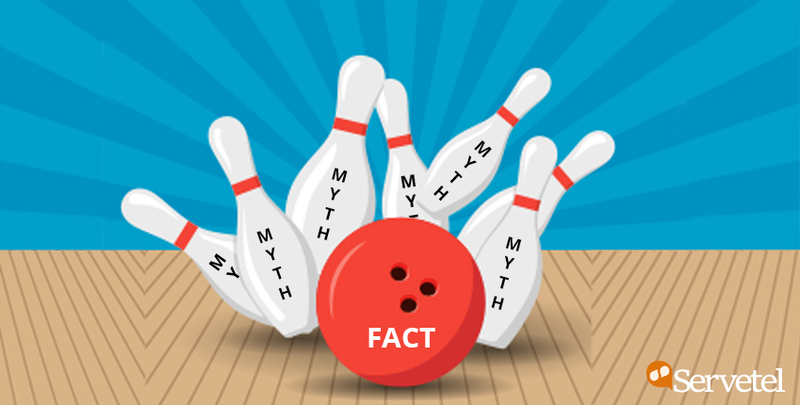 In this blog, we will be looking forward to disposing of such myths and establishing clear facts about it. Setup is expensive and requires rigorous training. The installation of cloud telephony services is quite simple, and service providers can usually establish a fully fetched system in a few hours. It’s true that cloud telephony services have complex algorithms at the back-end. However, the front end is user-friendly with the necessary information and lacks any irrelevant buttons or information, providing a delightful user experience. Since there are no hard-wired line systems involved, this dissolves the cost of establishing an on-premise system, rendering the remote cloud-based telephony system a lot less expensive and producing a better Return on Investment (ROI) in the long run. Once installed, portability is quite hectic. Cloud telephony systems allow one to relocate to any location they see fit while still retaining the same number they previously used. Devoid of the traditional hardware-based wired PBX systems , cloud-based telephony is much like plug-and-play. Also, since the data is at cloud servers the probability of loss of data while moving the business is none. Cloud telephony service is insecure. Cloud telephony service is very secure as vendors that maintain large data centres handle the task of data storage. They are aware of the sensitivity of the information stored and the damage it may cost when rendered in wrong hands. Such vendors usually employ high-end technology to pertain from any loss or misuse of data. To top it all off, service providers themselves cannot overhear or attain call recordings, rendering all information safe and authorised. The quality of calls is reduced. The quality of calls, when referring to cloud telephony is largely dependent upon the quality of one’s internet connection. If there is a decent internet connection, then the quality of cloud telephony is way better than traditional telephone systems. Monitoring and recording of calls in case of cloud telephony is tough. Cloud telephony is quite easy to maintain. With the surplus efforts put in by the back-end developers at various stages, it’s quite simple to monitor, manage or route the calls, as per one’s requirement. To the front-end user, these tasks happen by a simple click of a button, thereby providing a much-adored user experience. The dashboard or web portal provided by a service provider makes it quite efficient to record and maintain calls. 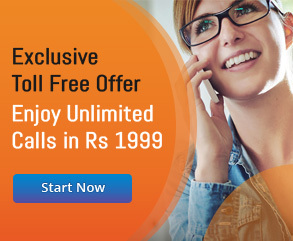 Upgradation and expansion in case of cloud telephony service is expensive. It’s quite easy to upgrade and expand cloud telephony service. This comes because of the simple fact that hardware-based private branch exchange (PBX) systems are by far more demanding than cloud-based telephony systems. Being wired, traditional-telephony systems require the presence of an on-premise engineer and setting up new lines is anyways a tedious task. With cloud-based telephony, there is no need for on-premise hardware PBX systems. Additional lines can be easily added as the business grows. Since, a cloud service provider always keeps several lines ready for disposal, the request to add lines can be met within hours. This results in faster initial installation and more rapid expansion shall the company need it. It will eliminate the need for IT jobs. Installing a cloud telephony service does not require a company to let go of their IT employs. However, the role of the IT department is modified at large, requiring them handling the responsibilities of adding new users, updating auto attendant, and maintaining and editing policies. By this, a company’s IT department is employed towards more fruitful tasks, rendering the department more efficient and feasible. This ensures that a company is performing more efficiently and deploying resources smartly and right where they are needed. Cloud telephony services are only for large enterprises. It can’t be more wrong to say that cloud telephony services are only for large enterprises. Firstly cloud-based telephony systems allow one to serve at multiple locations by utilising just one phone system. Thus, there is no need to maintain multiple phone systems. With cloud-based telephony, a company gets one pricing policy across multiple locations. Secondly being the latest technology, they include automatic upgrades. With the implementation of a central control panel system, management is way more comforting. This saves cost, provides easy support, and increases reliability. Thirdly, one gets to build a better reputation and rapport for their company. This allows one to pick up calls from wherever they are, a luxury previously only practised by large enterprises. Thus, one can face competition against larger enterprises by providing the same services to their customers, devoid of any hefty fees. By this, a small enterprise can save upon their expenditure on human resources, while enjoying a happy clientele. Issues at data centres cause termination of services. This is perhaps the biggest and most propagated myth concerning cloud telephony service. Since most service providers employ multiple data centres, if there ever occurs an issue at one data centre, another automatically gets allocated so that services may resume smoothly. Although, it’s quite improbable that a problem may arrive at a data centre, even if it does one will be shifted to another data centre without even realising it, ensuring smooth operation at all times. 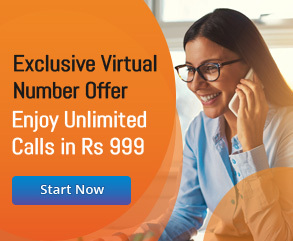 In this manner, cloud telephony services are far better than traditional telephony services because a problem with traditional telephony services involves the presence of an engineer who would first detect the issue and based on that might even need to change phone lines to restore connectivity. In lieu of the facts above, it is evident that cloud telephony services are quite the necessity of enterprises, irrespective of the scale of their operation. Hence, enterprises should not get coaxed by the various myths that circulate regarding cloud telephony services.